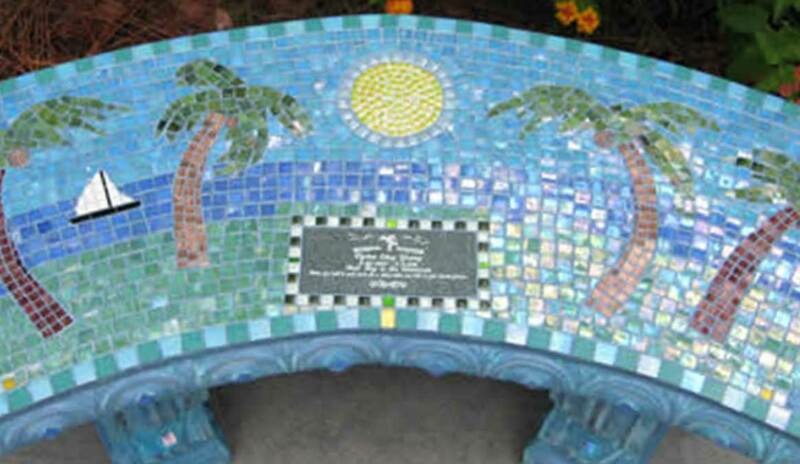 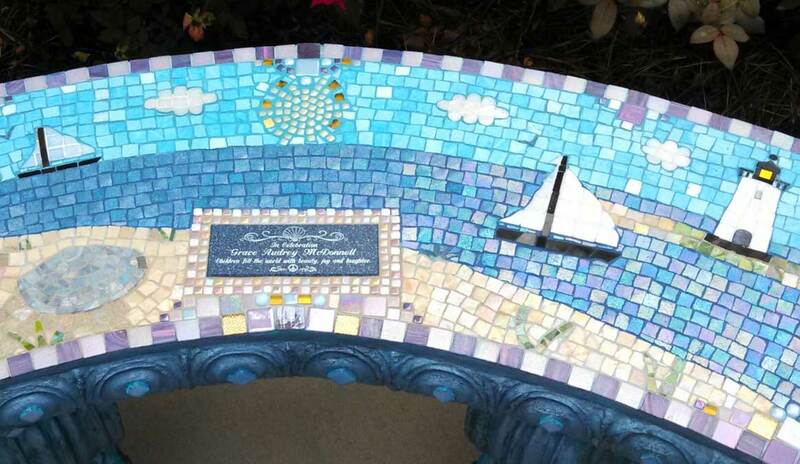 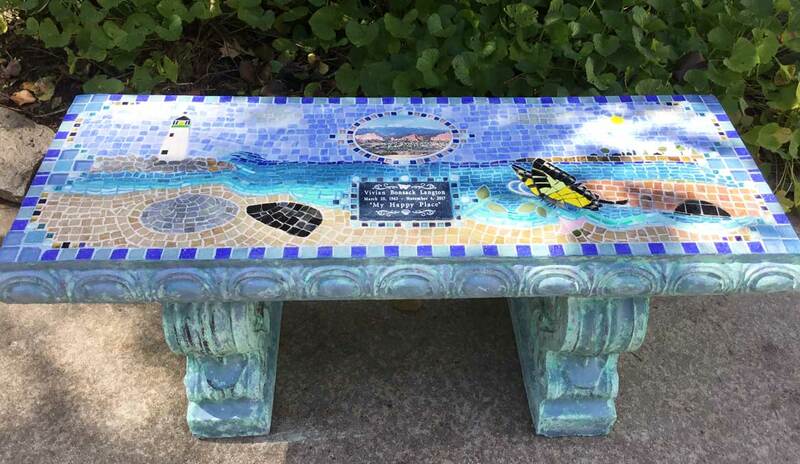 The Seascape design benches feature many wonderful elements of the ocean or beach such as lighthouses, palm trees, and sailboats. 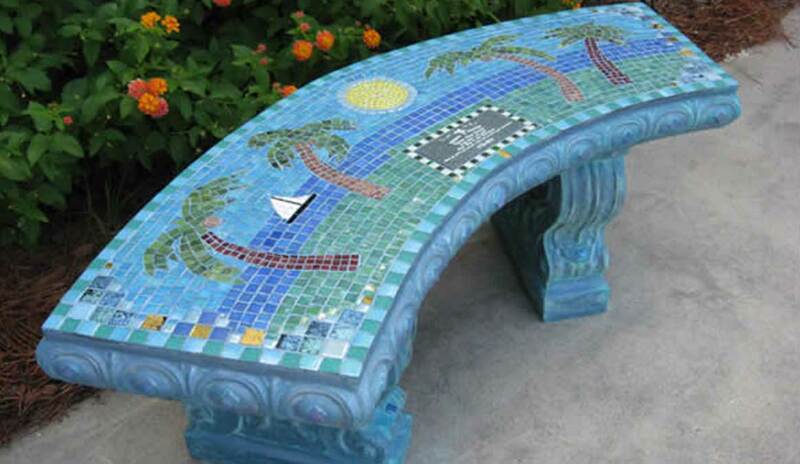 Each of the elements can be incorporated together or as single elements making the bench a one of a kind piece. 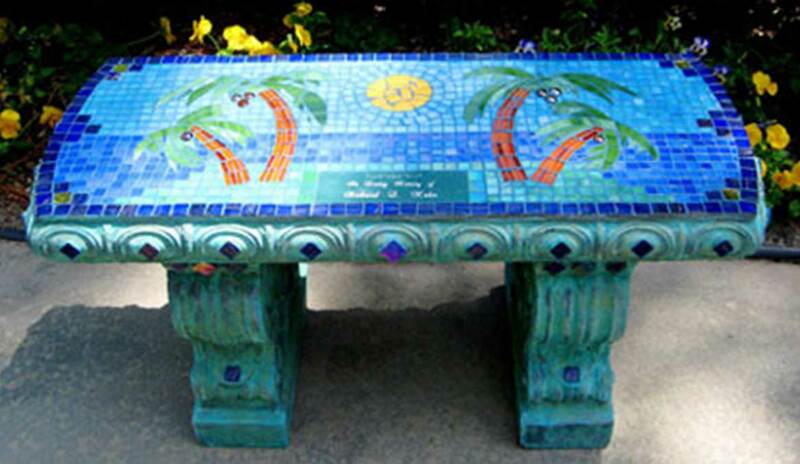 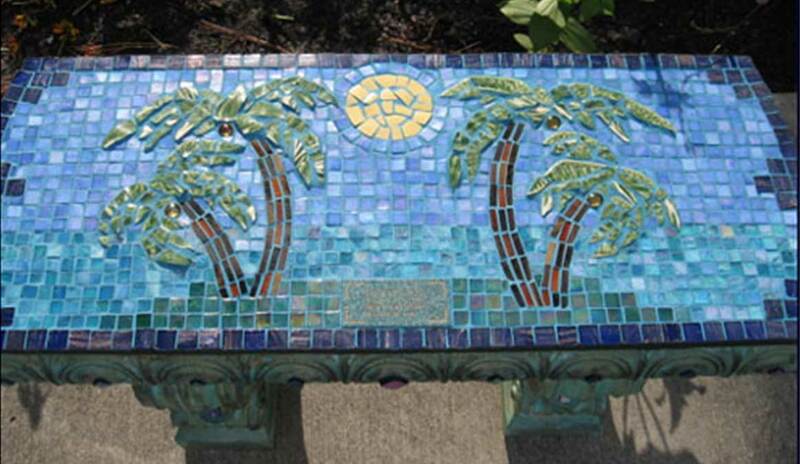 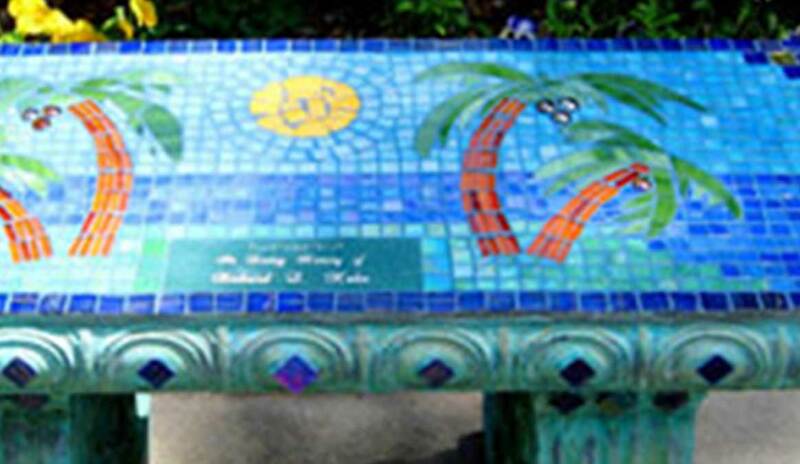 Each mosaic bench stands 18 inches tall with a patina green or patina blue finish. 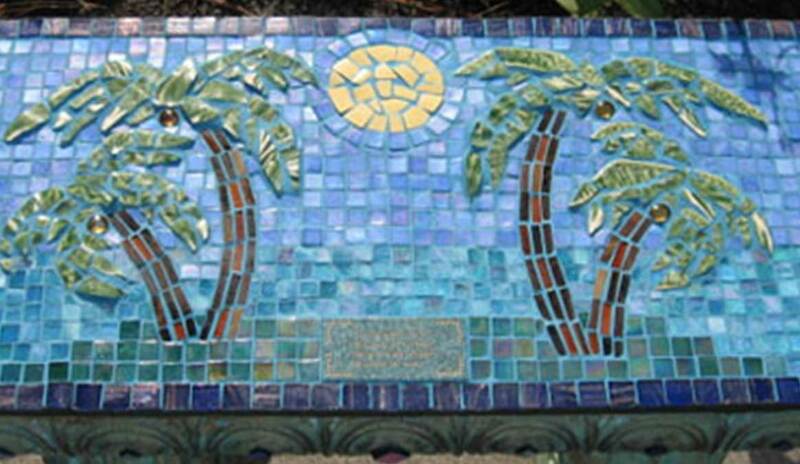 “Wonderful…..thank you so much for doing such a beautiful job." 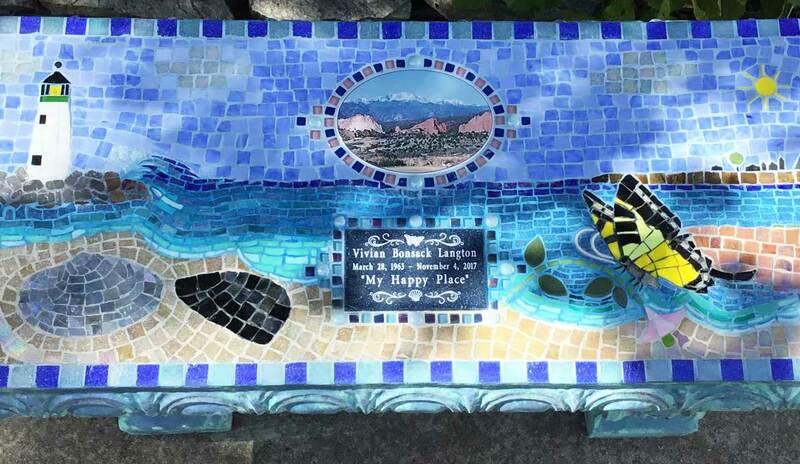 "When I started considering a memorial bench for Bob, I never imagined the piece would be so representative of our life together– bright, shining and ever changing. 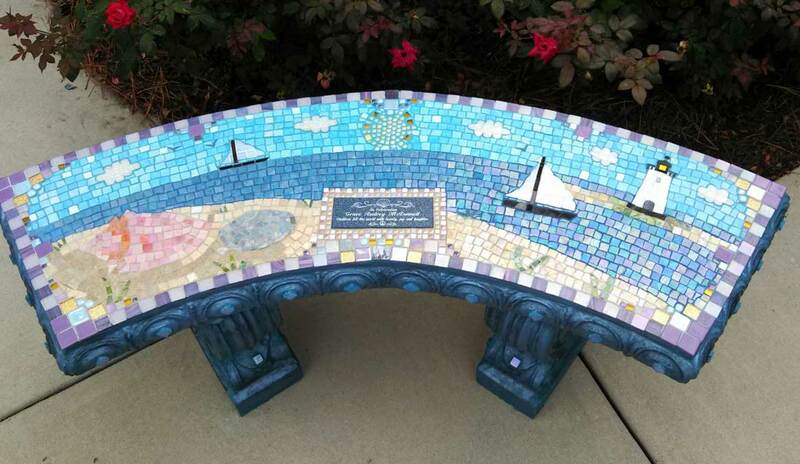 Linda’s interpretation of my needs was perfect beyond words."